We kill two birds with one song this week. 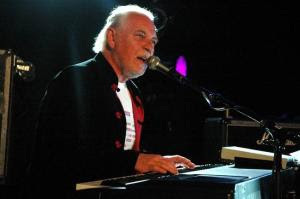 We celebrate the birthday of vocalist Gary Brooker, who turns 65 today, and we enjoy his group, Procol Harum's, biggest hit, released in 1967. Brooker founded Procol Harum in the mid 60s. In the 70s he played in Eric Clapton's band for a time and today often tours with former Rolling Stones bassist Bill Wyman's group the Ryhthm Kings. As a child of the 60s I could never make up my mind which was more bizarre - the group's name or the lyrics to A Whiter Shade of Pale. Thank you for sharing that. I am only slightly surprised that I had never heard of him before Its always nice to hear a new (at least for me) player. This is one of my all time favorites. I knew a guy in high school that played this on his Hammond B-3. "Conquistador" is another one of their fine selections. You want a whiter shade of pale, check out these gams! Oh yeah, feel the glow. Love the song, and the memory of all of this. Also hard for me to understand that supposedly Robin Trower came from this group. Strange days, indeed. Thanks for posting this. I grew up with that music too, and I'll swear it's just as weird sober as it was being in a haze. nipsy: Consider me your masterful musical meanderer. Me-Me: It's one of my favourites too. Timeless. Doug: Been doing a lot of fandango? Expat: Glad you enjoyed it. Don: I don't think the fella that wrote the lyrics was sober. Love the oldie music part of the blog. Brings back a lot of great memories. And attacked the ocean bed." Anon #1: Thanks, I enjoy researching and sharing the classic clips.